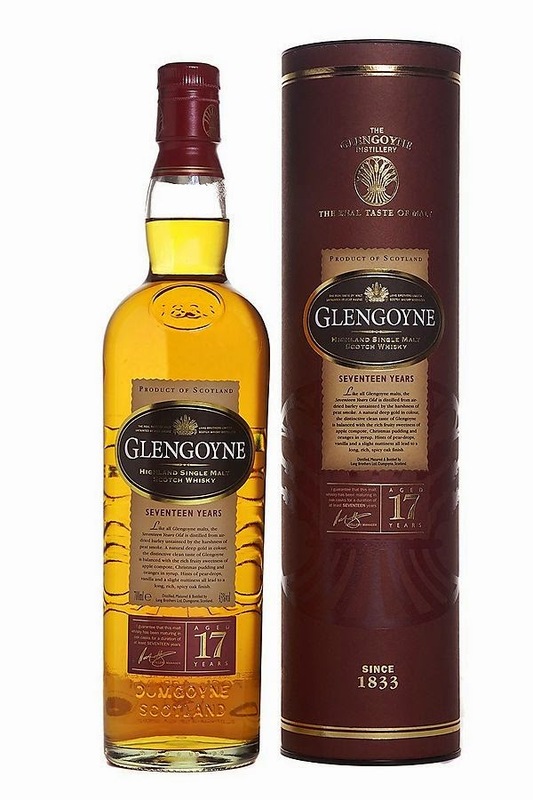 Glengoyne 17yo (43.0%): I reviewed quite a few Glengoyne expressions on this blog but never had a chance to spend time with the seventeen year old. I always referred to it as my favorite of the official distillery line-up when I was asked but have nothing written down to prove it actually. Since it is phased out and replaced by eighteen year old it is getting harder and harder to find these days. I better write some tasting notes down before it gets too late. Color: Crystal clear, medium amber. Red gold. Nose: Very dusty and fruity. Chalk, red plums and Lipton Red Fruits ice tea. It gets sweeter with a few drops of water: red gummy bears, red jelly sweets and hibiscus tea. Moldy aromas in a wine cellar of a country house below the ground level. Palate: Raspberry jam, ripe strawberries coated with confectioner's sugar. Rum and raisin ice cream and jasmine flowers tea. Citrusy dryness like having fresh kumquat. Adding water brings some woolen sweaters, chilled plum compote and sweetened cranberry juice notes. Finish: Sweet and dry. Vanilla, toasted oak and damp, moist basement. Overall: Confirmed... It is my favorite among distillery releases; Well, at least before it completely disappears from the surface of the earth. It is really sad to see it going away... There are not so many whiskies around using sherry matured juice so subtle. I didn't taste the new eighteen year old but I am a little worried of the official tasting note saying "rich, luxurious mouthfeel". Usually it means lots and lots of sherry matured whisky... I'll keep you folks informed when I have a chance to taste it.